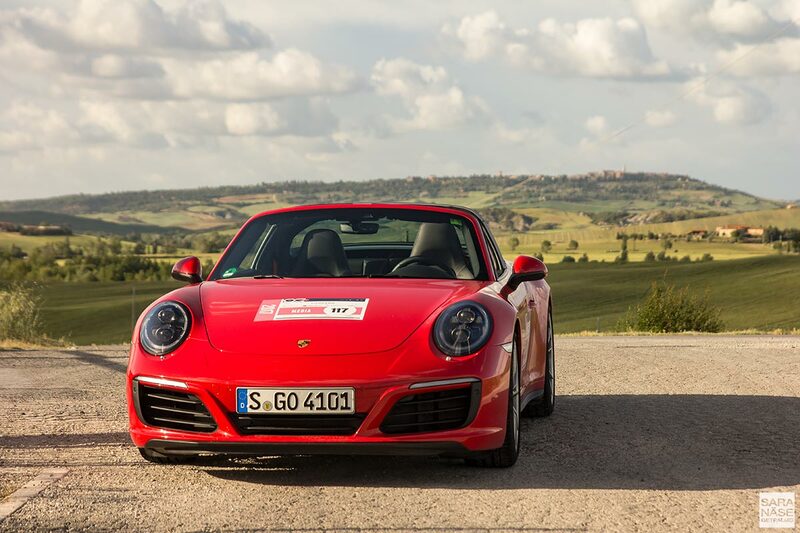 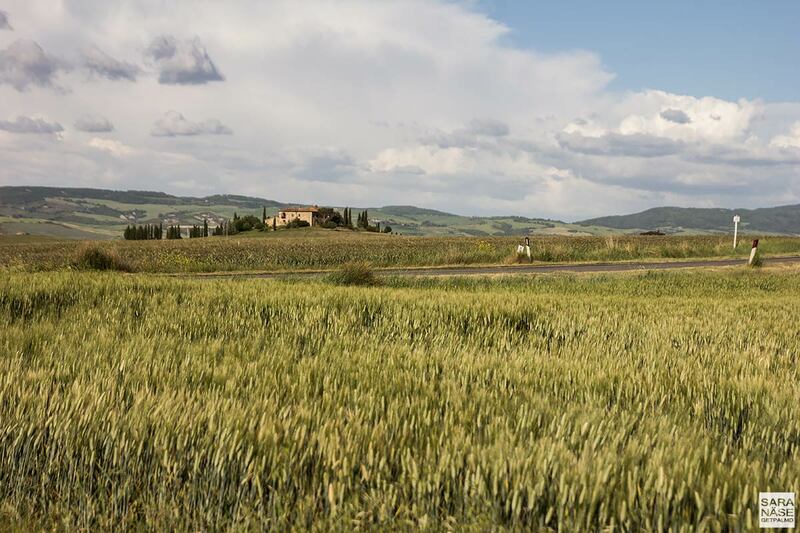 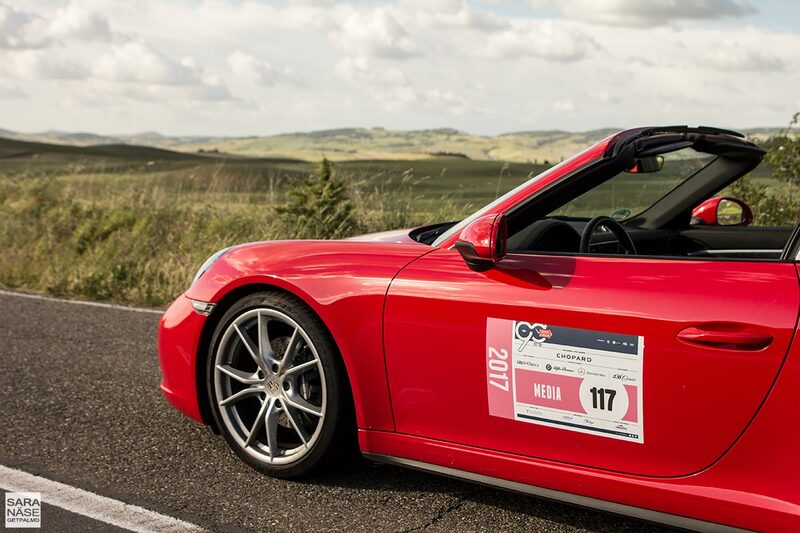 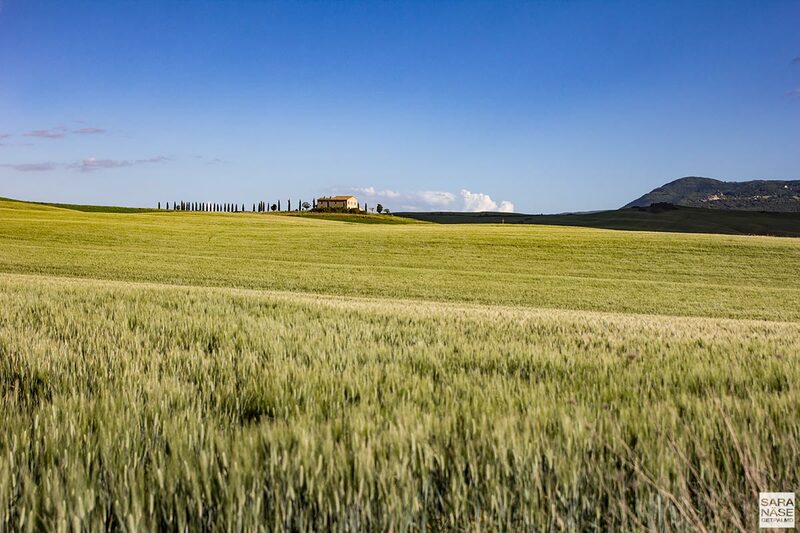 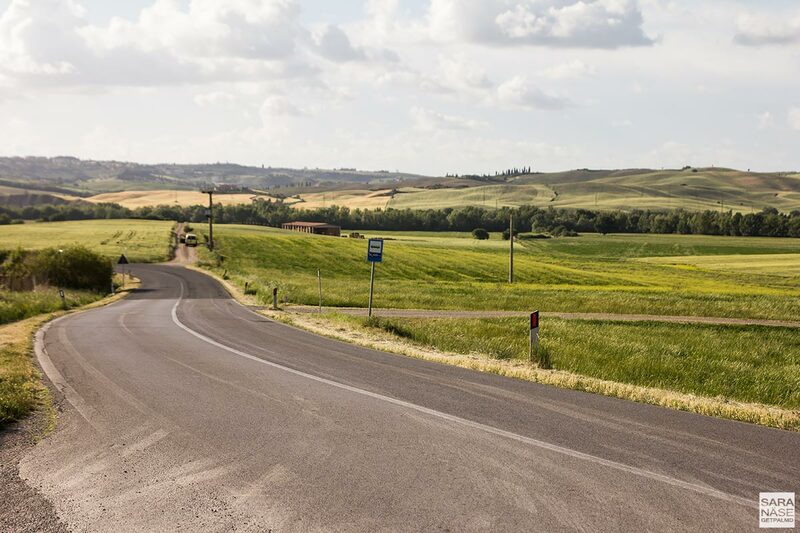 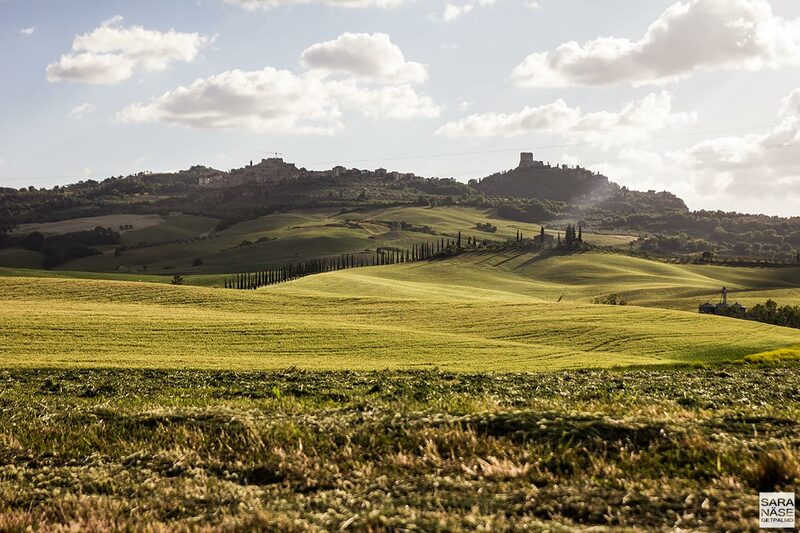 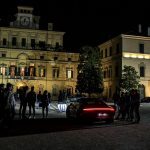 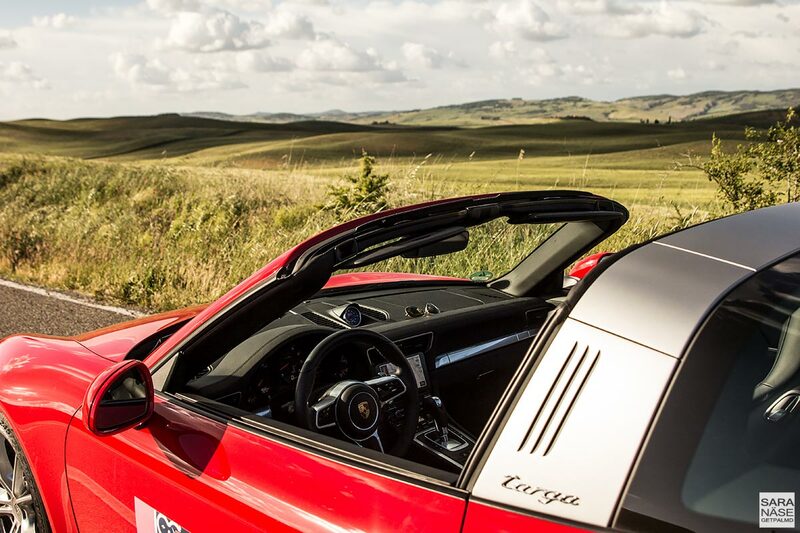 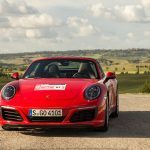 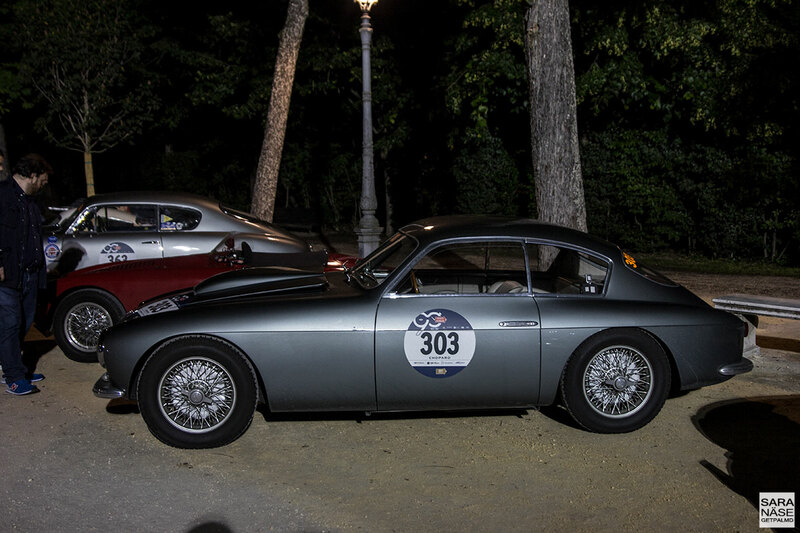 The third day of our Mille Miglia race can be described in a simple way – the day we lost them all, yet had an absolutely amazing day touring through the Tuscan countryside. 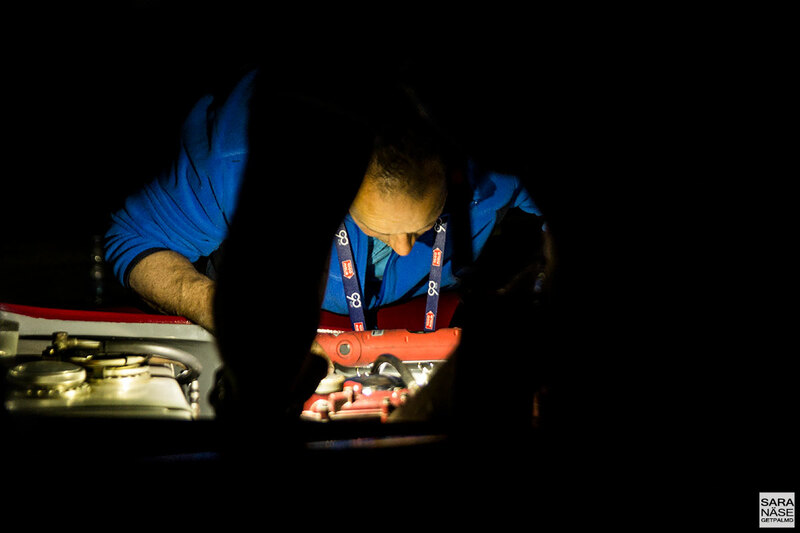 In the middle of the night, in our hotel room in Rome, my laptop stopped working while I was just about to make the finishing touches to an important work presentation. 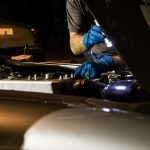 Those of you who have ever suffered from a broken fan in their laptop might know that although you are still be able to use your laptop for a short period of time until it overheats, it’s impossible to concentrate because of the sound the broken fan makes. 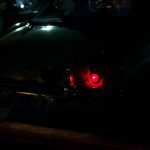 It sounds like you are sitting there waiting for a big bang. 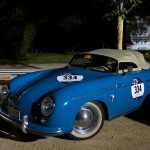 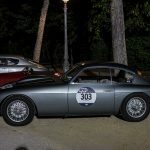 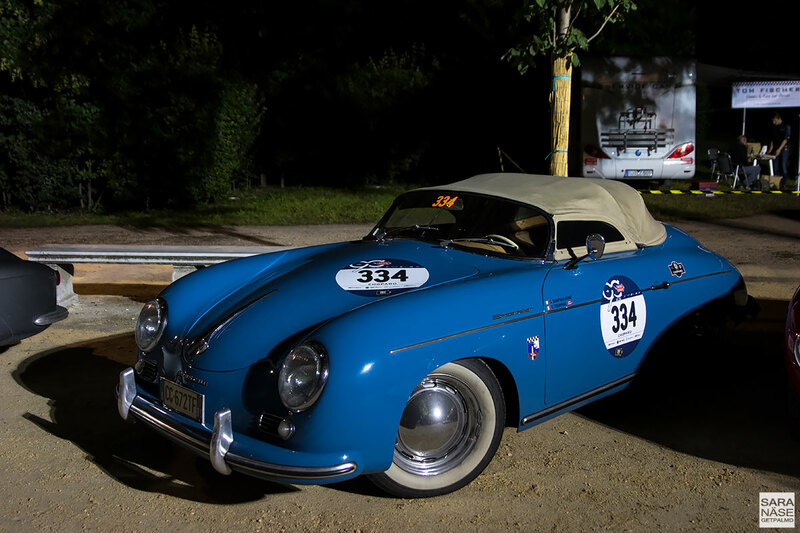 We had a couple of days left of Mille Miglia, and under any other circumstances I would perhaps not have been that bothered – and a trip to a PC repair shop could have at least waited until we got back home. 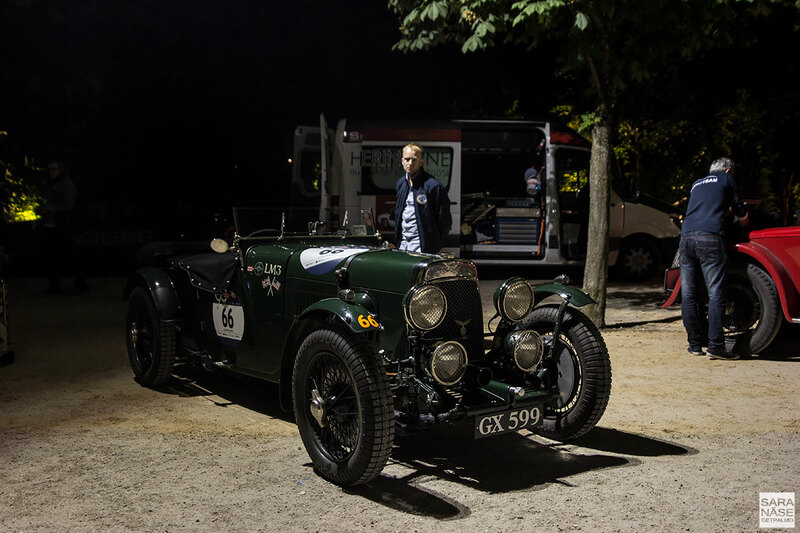 Luckily – or sometimes unfortunately – I take my work quite seriously, and I had a deadline. 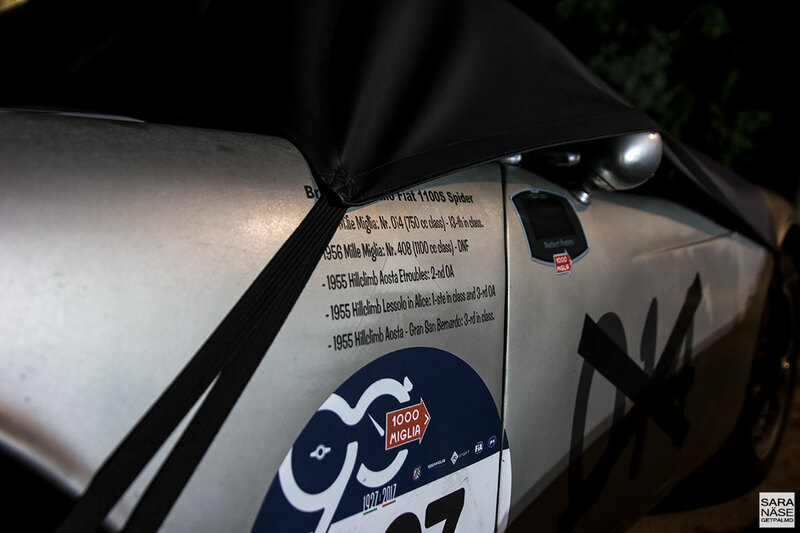 A deadline that felt so important that at noon on Saturday we were not on the winding roads driving through Tuscany, following the race as part of the big convoy. 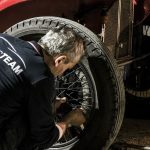 We were sat in the PC shop in Viale della Grande Muraglia in Rome, first waiting for the friendly guys to diagnose the problem and check if they could find a spare part, and once the part was in their hands, getting them to fit it. 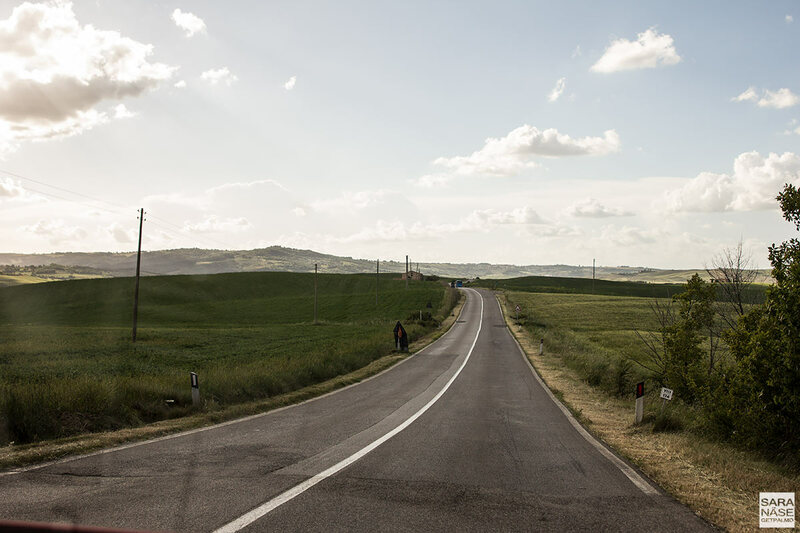 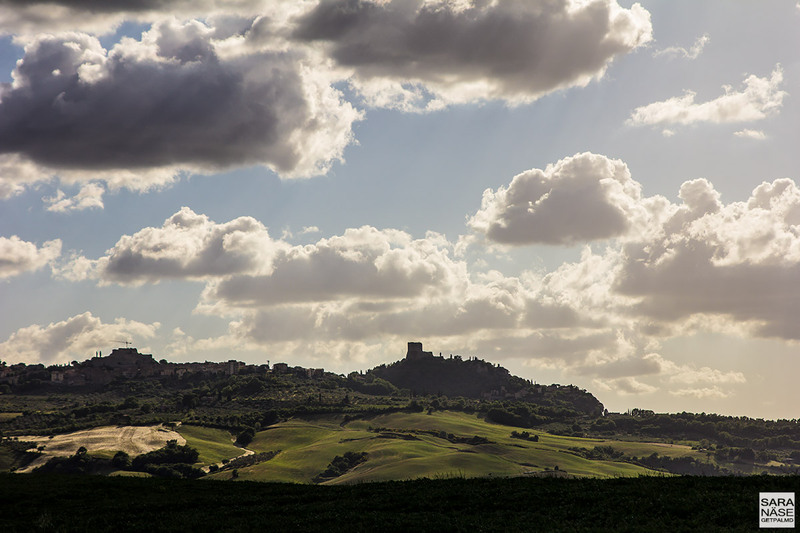 Eventually I had a working laptop in my bag again, and we were finally able to start our drive into Tuscany. 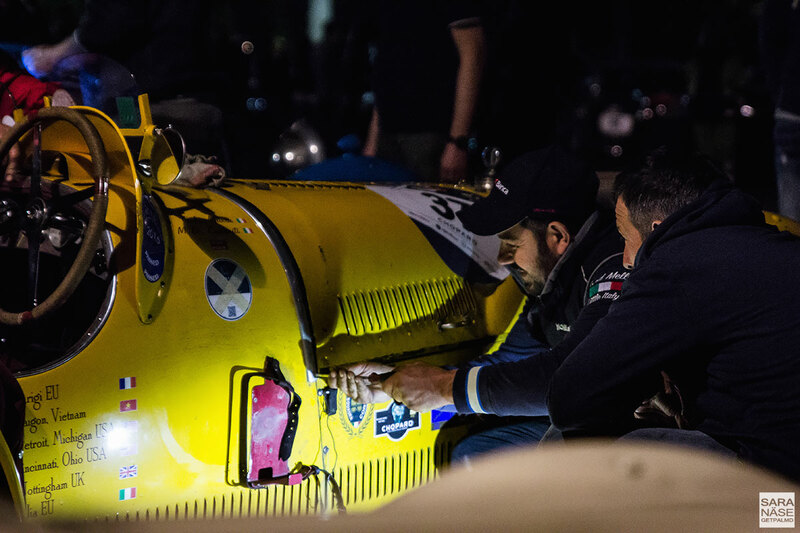 We had a quick look at the time and made the decision that trying to catch up with the convoy would be a waste of time – they were far too ahead of us on the road by now. 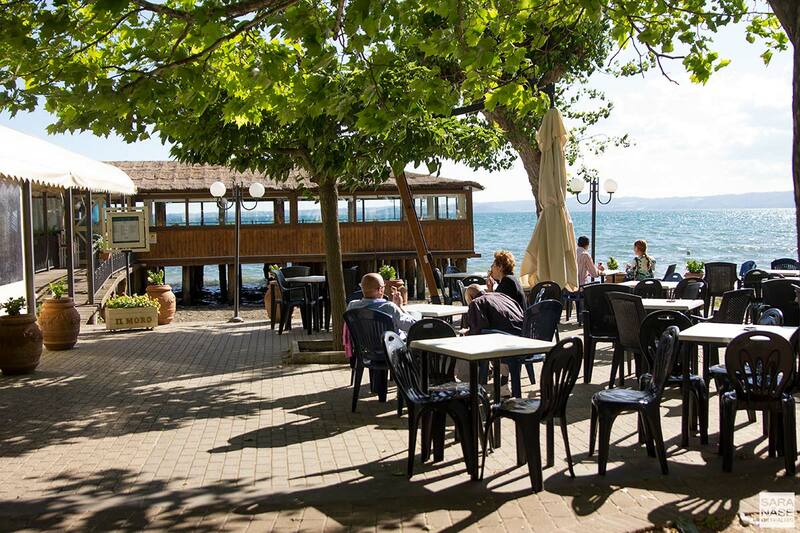 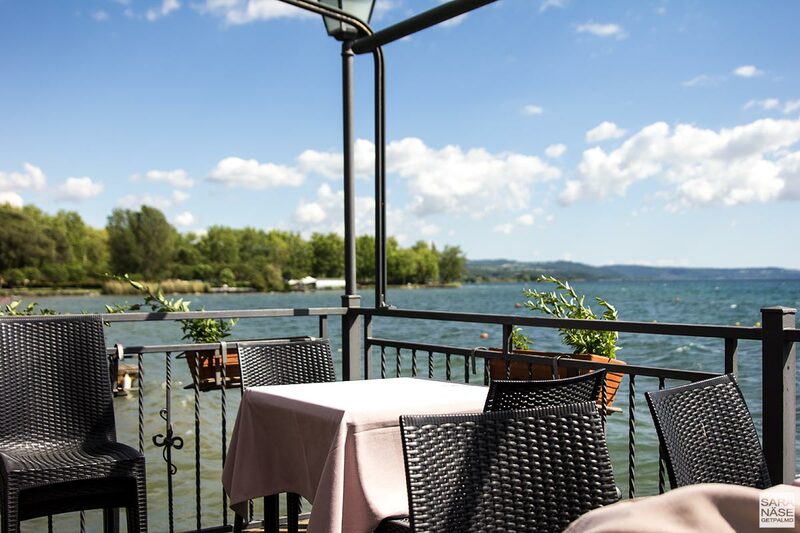 Instead we followed the route, until it suddenly seemed appropriate to take a detour to a lake, where we chanced upon a lovely lakefront restaurant – Trattoria del Moro in Bolsena – and enjoyed a well deserved lunch. 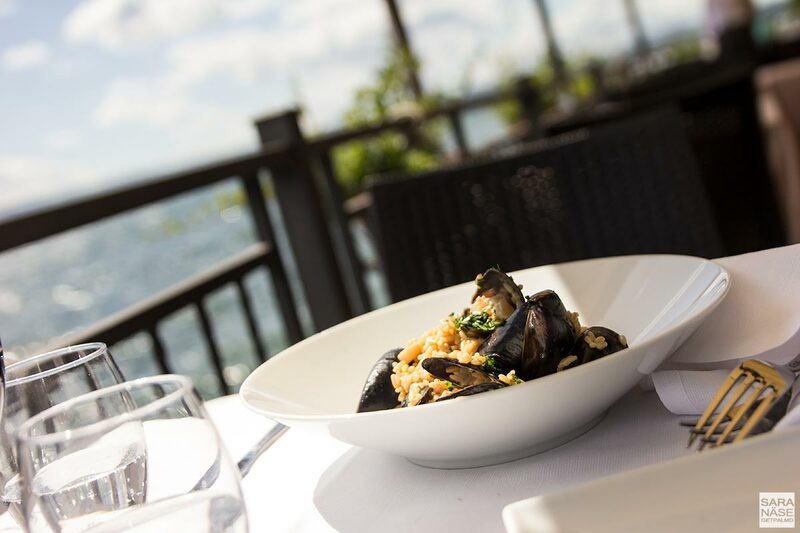 I remember the mussles, the sound of the waves hitting the shore, the brainstorming for my presentation, and by the time the lunch was over my work was also done and on its way to my client. 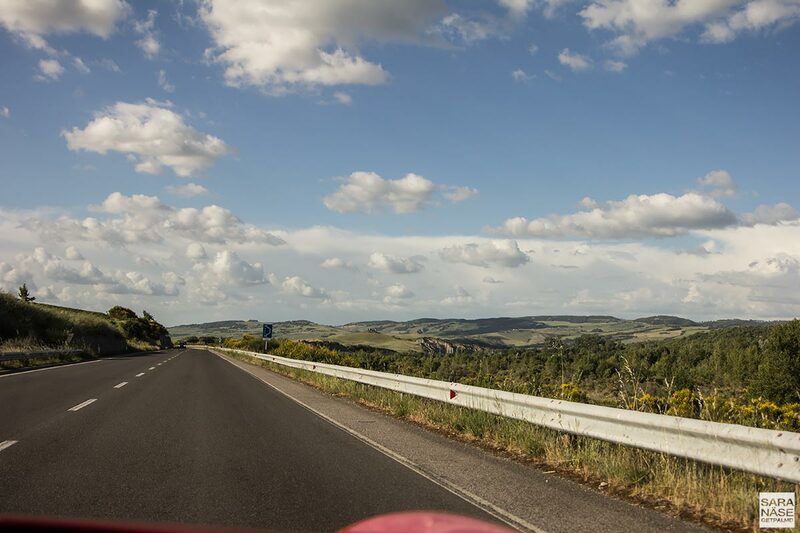 The fact that I later closed that deal with my client makes my memories of the whole day even sweeter. 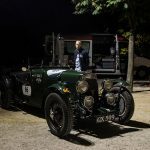 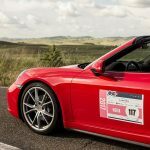 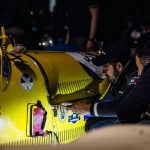 A beach is not a bad place to sit and run your business from – even if, on this occasion, it meant that our day did not go exactly as planned, and as it happened we probably crossed the finish line amongst the last cars – but we made it. 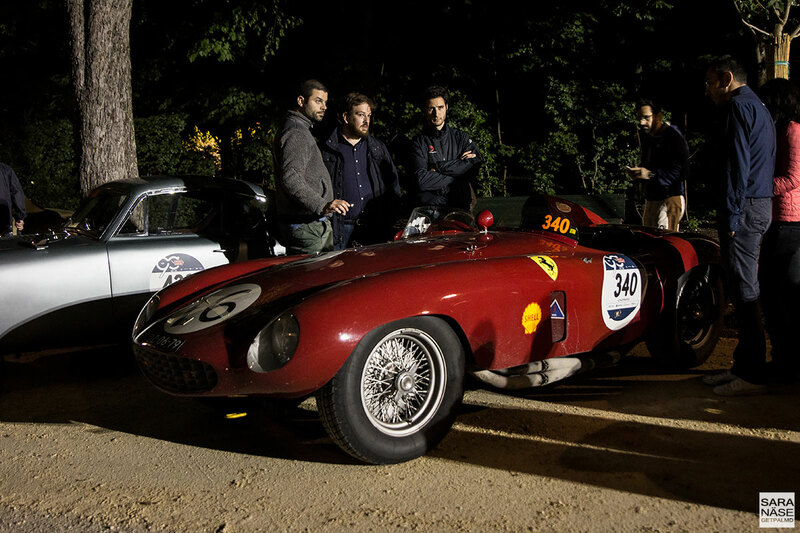 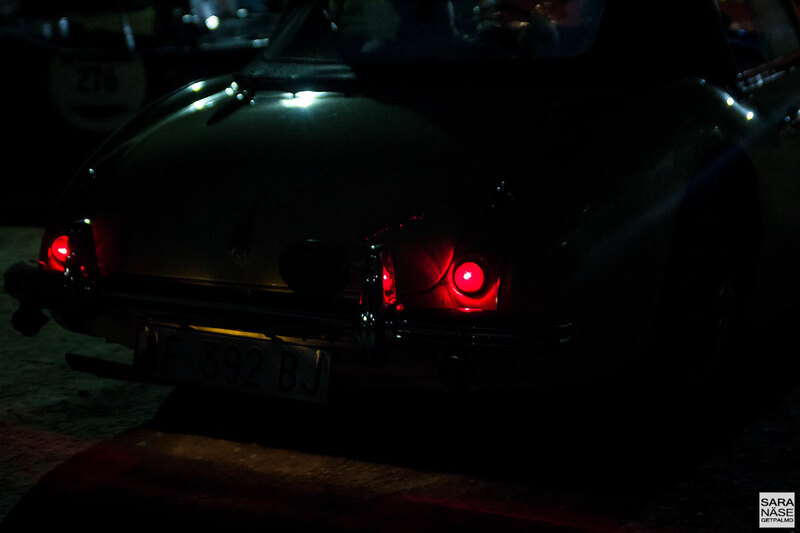 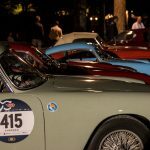 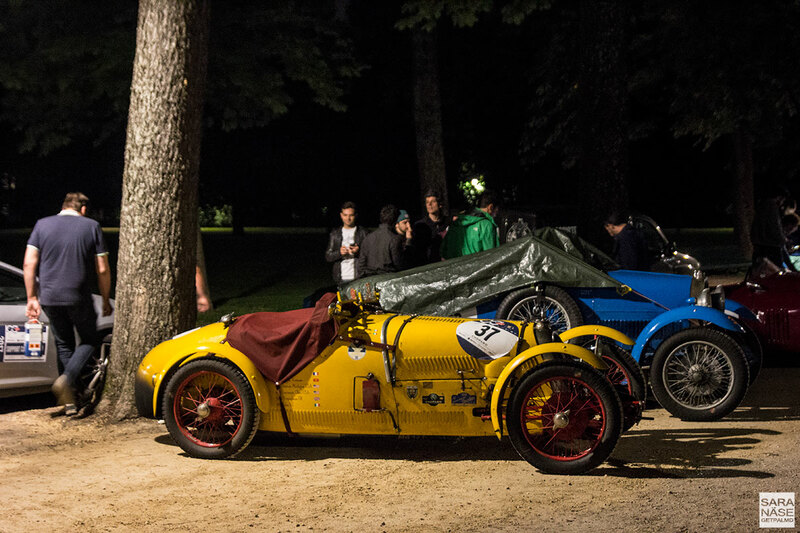 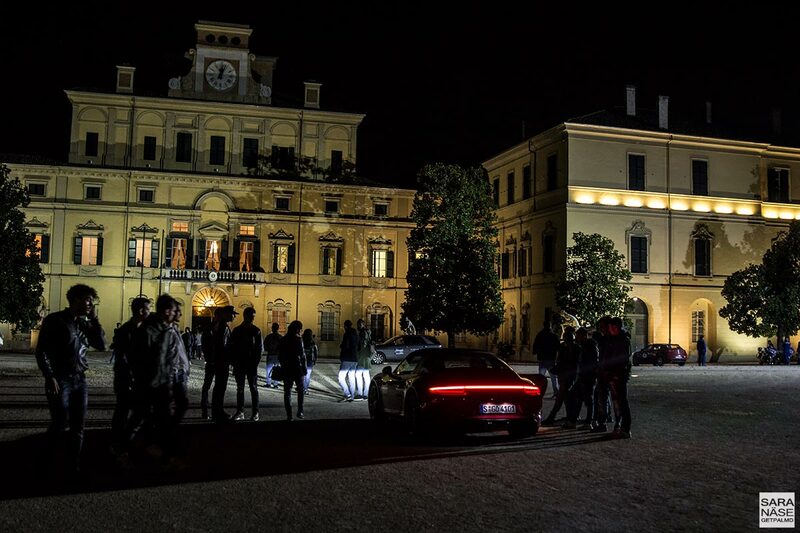 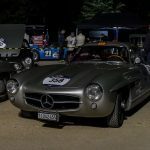 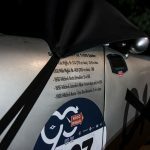 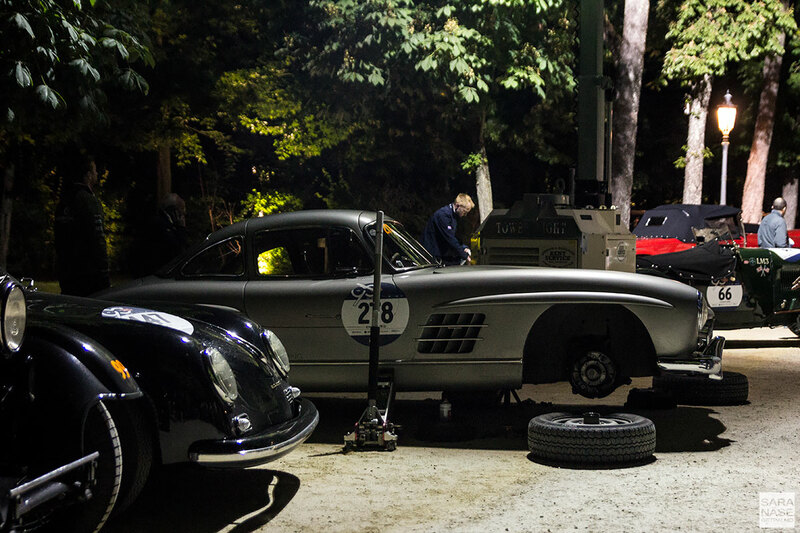 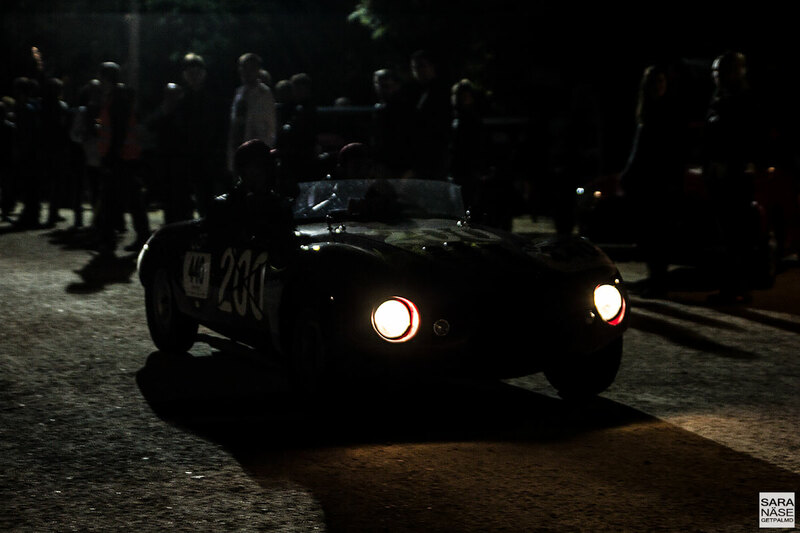 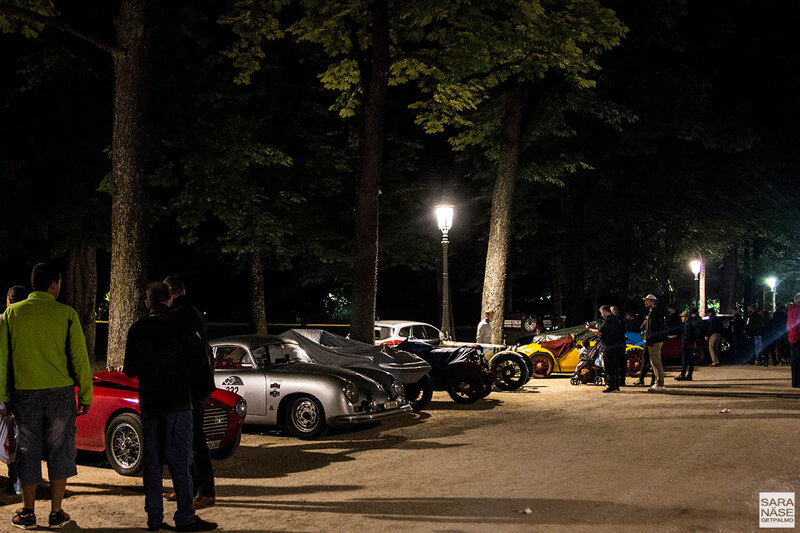 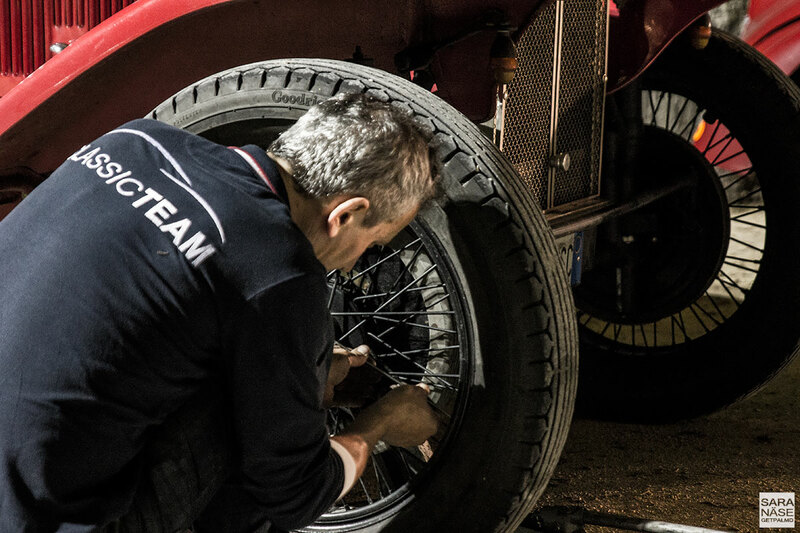 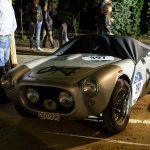 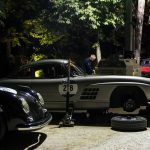 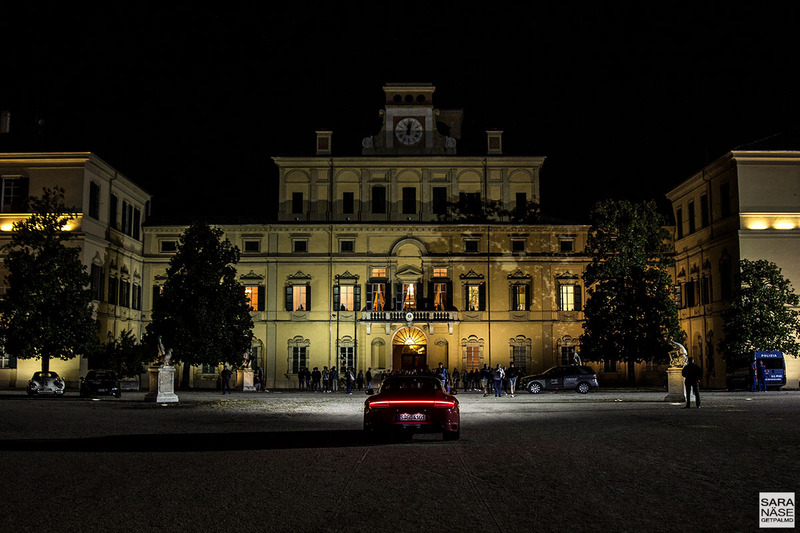 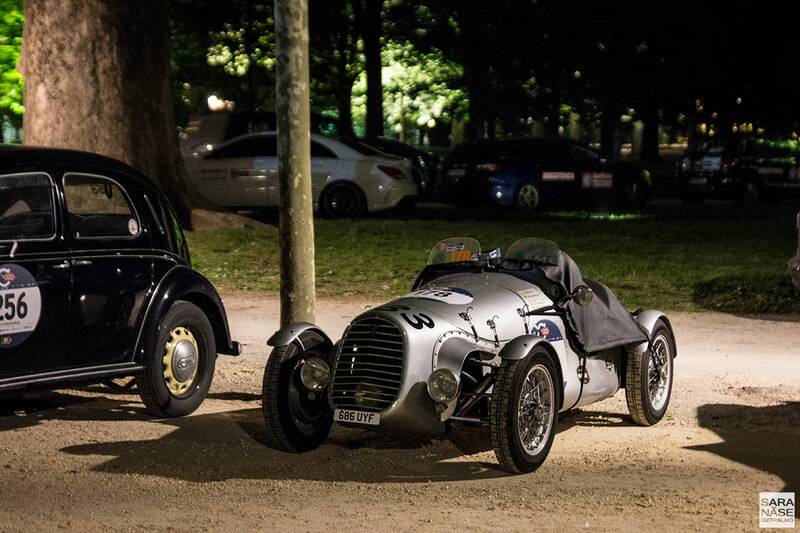 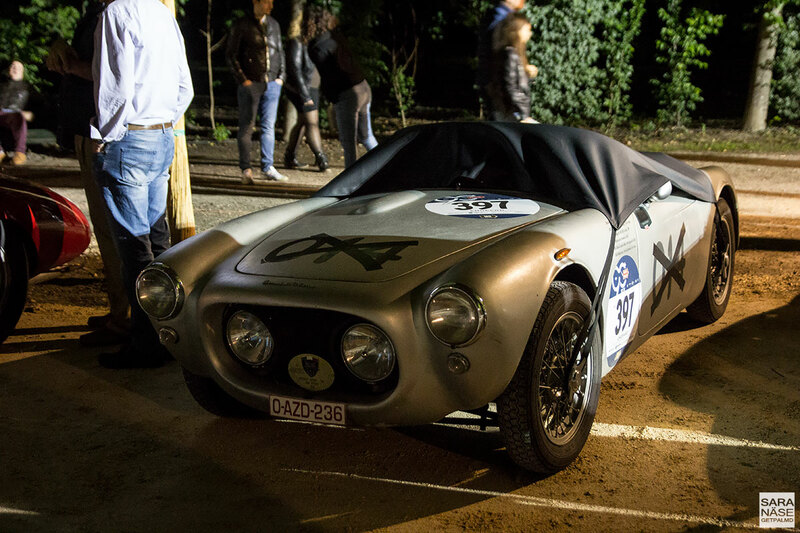 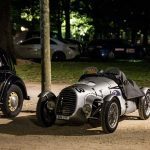 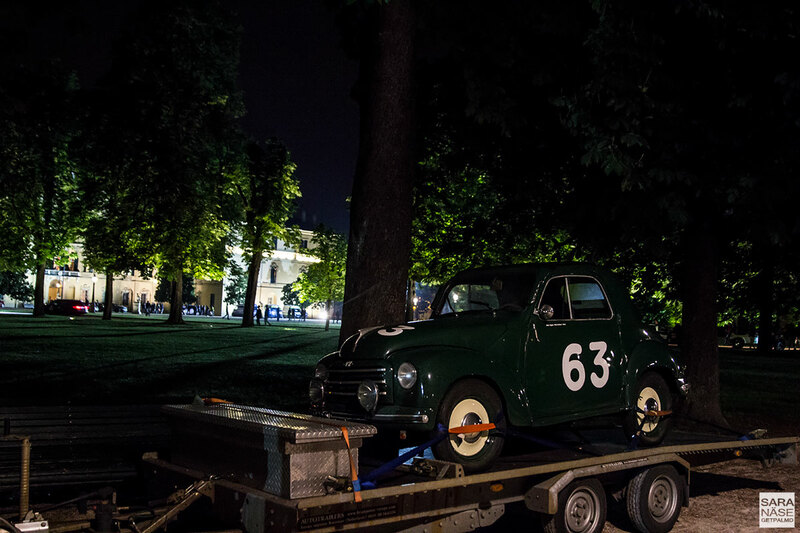 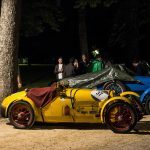 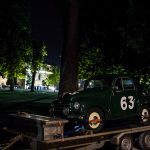 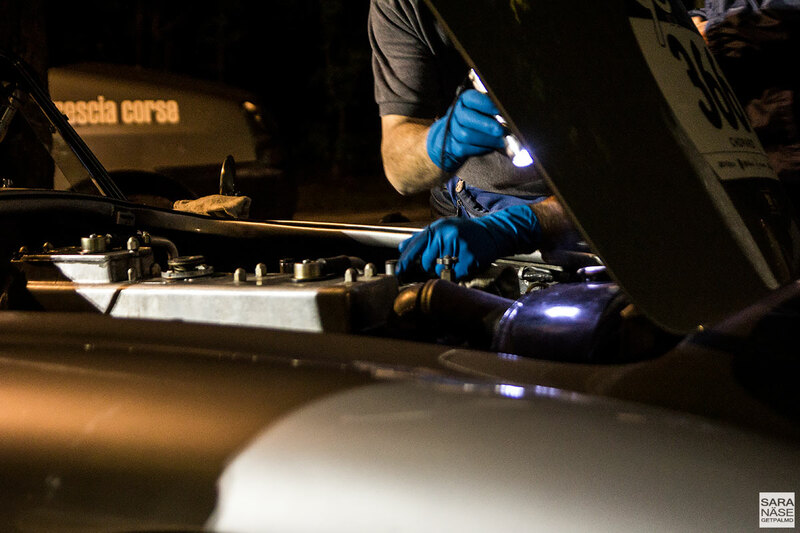 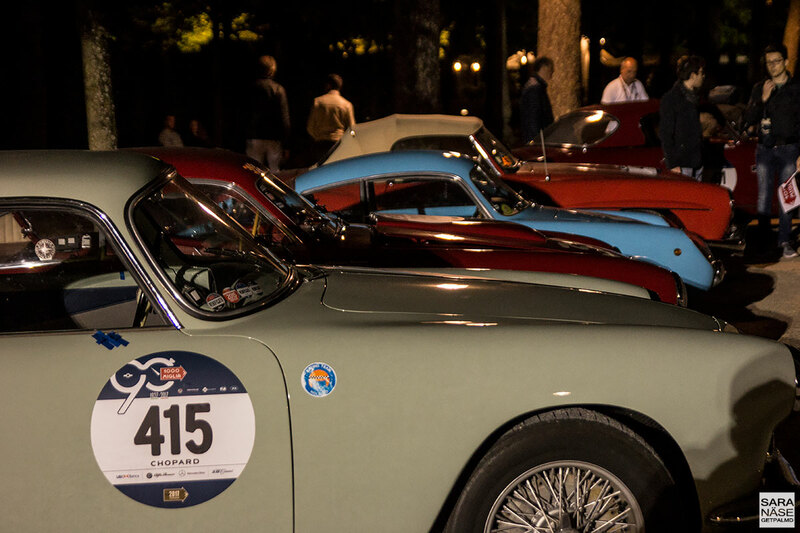 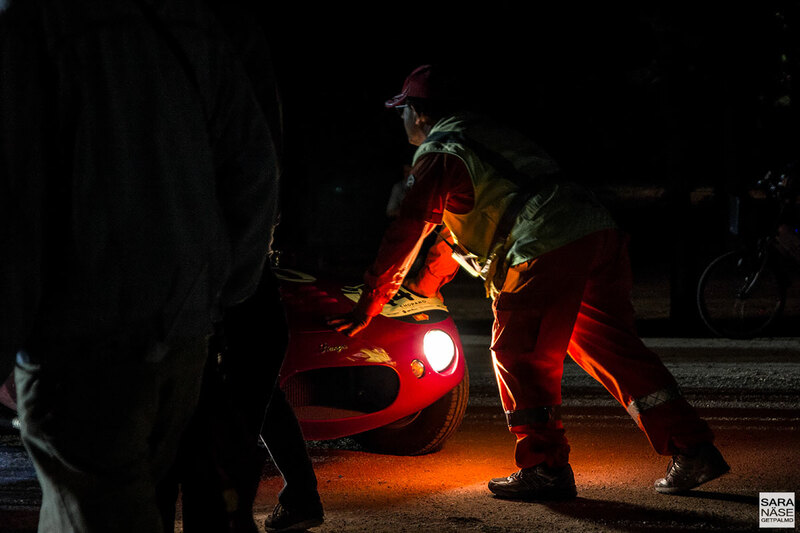 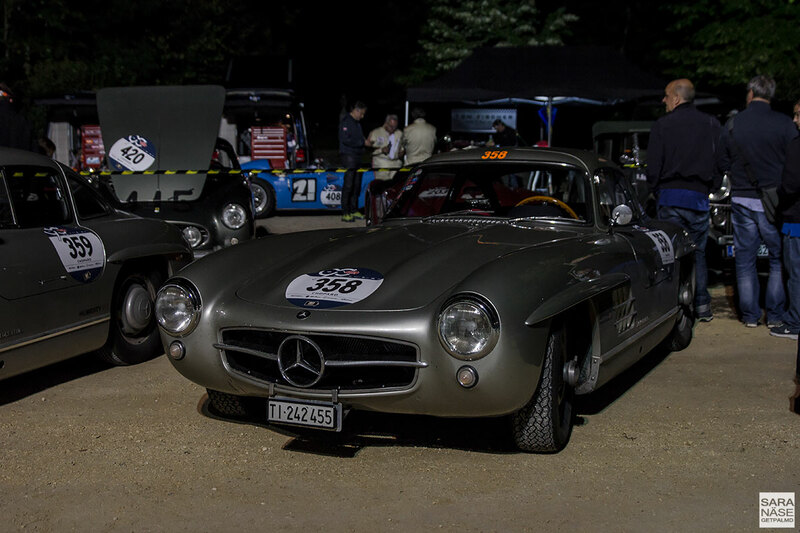 I imagined we would go to sleep that night without even seeing a glimpse of a Mille Miglia car. 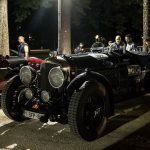 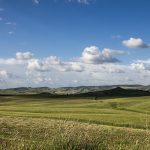 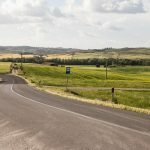 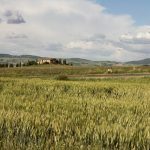 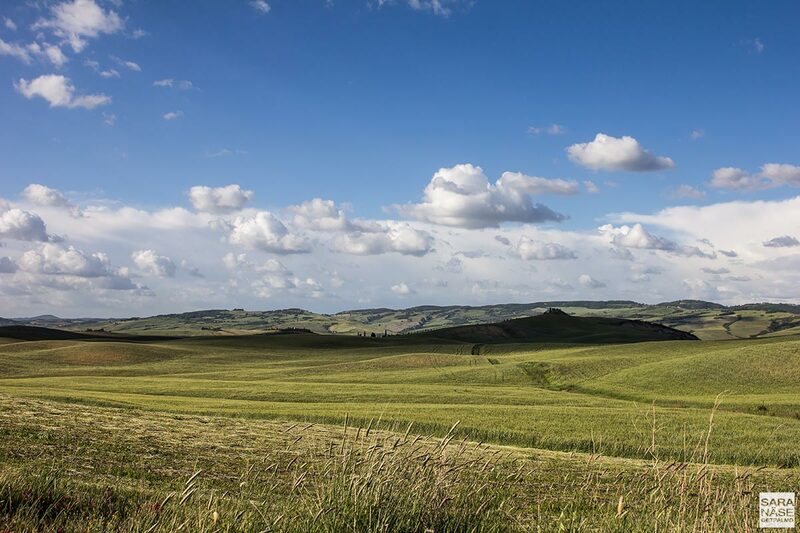 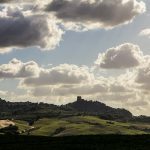 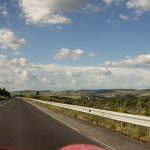 It was disappointing enough to be forced to sacrifice a stretch of the scenic route for a drive on the motorway to save time – I’m well informed that the route through Tuscany is one of the highlights of Mille Miglia. 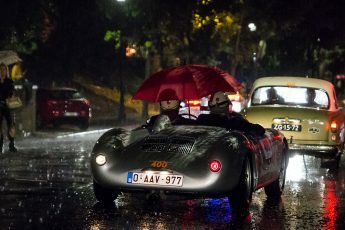 But to not see any cars at all would have made the day a total wipeout. 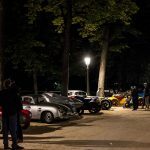 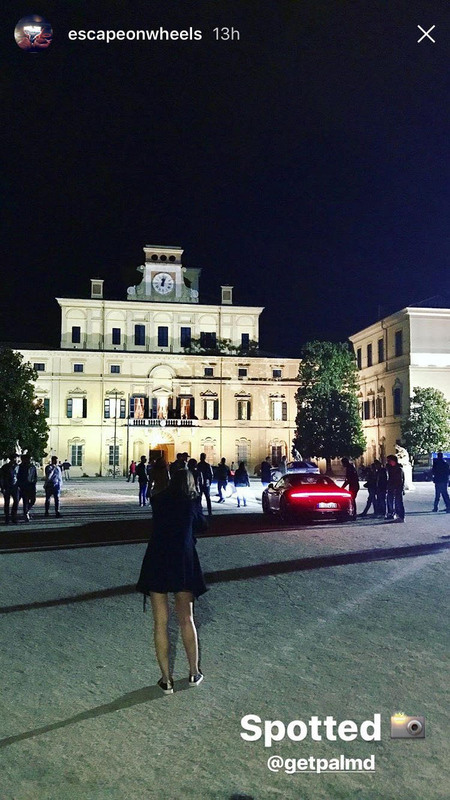 Luckily, as we drove into Parma, arriving in front of the Palazzo Ducale, we found there was still a great buzz going on in the park. 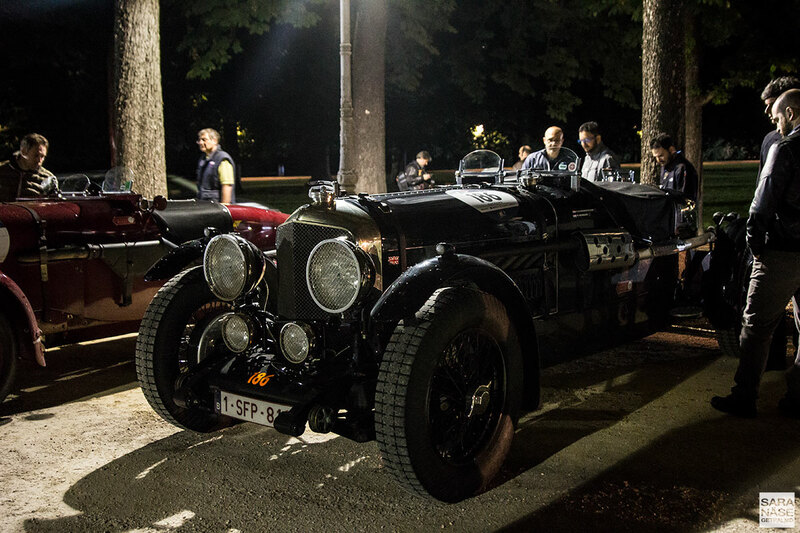 Never mind that once again we had to have our dinner around 2 AM, this time unfortunately in a nasty pub around the corner… if only it could have been as good as the previous night in Rome! 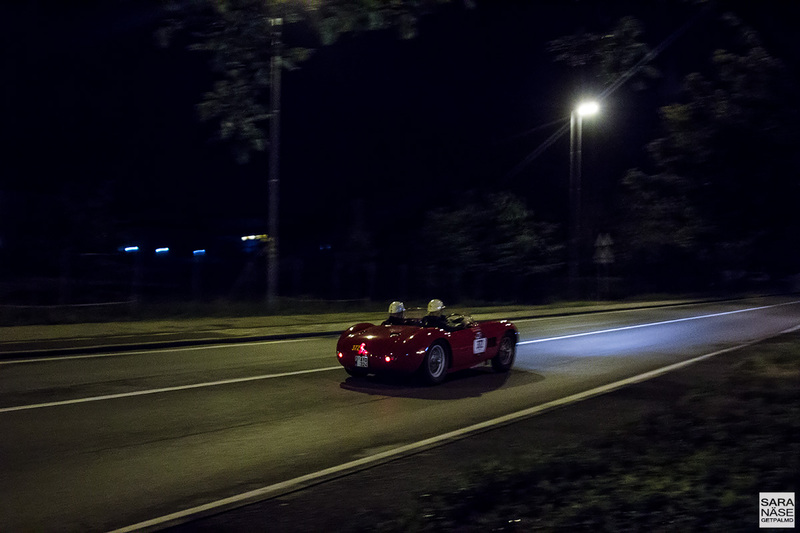 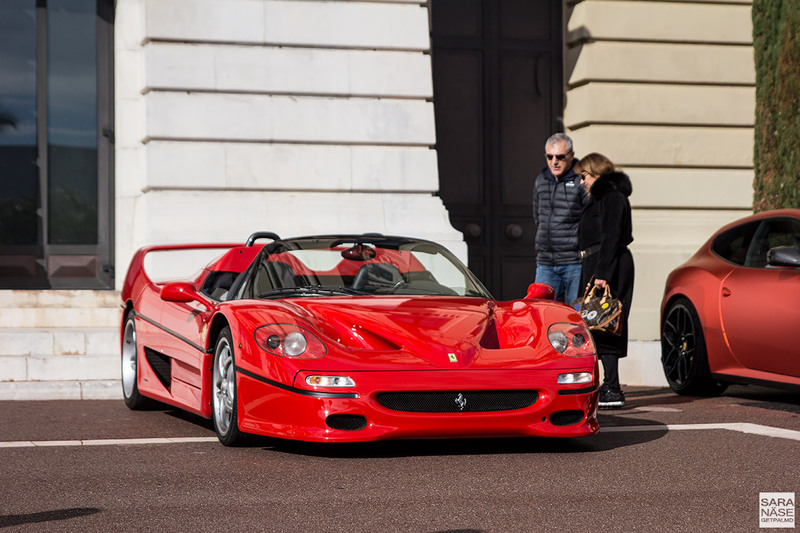 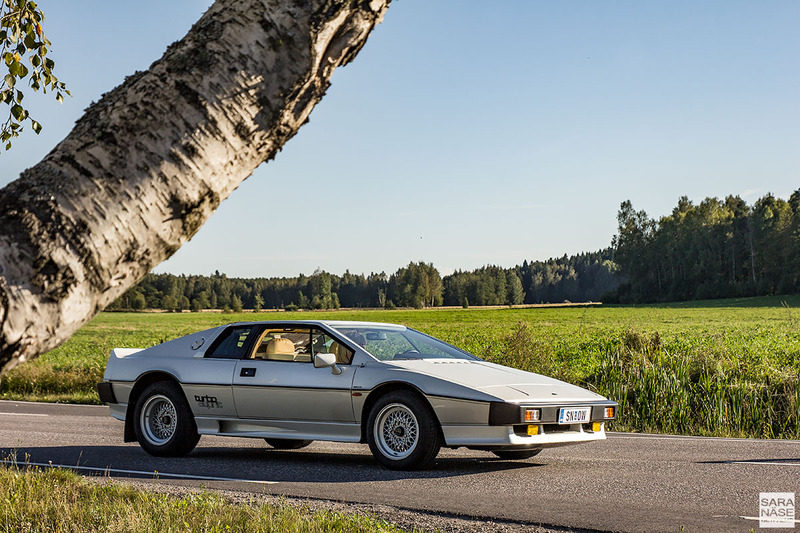 Just the sight of the cars, and that momentary high from the atmosphere made a huge difference to our mood. 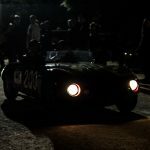 And, we were back in the race.